Metropolitan Locksmith has been selling the world’s best-known provider of secure safes and security solutions Secure Safes. We have protected the assets of our clients providing a broad array of safes and consulting services with the highest degree of quality, integrity and responsiveness. Customers have trusted US for more then 20 years we carry, AMSEC, GARDAL, and more . 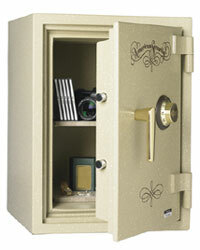 We sell safes from world-recognized manufacturer of premium quality safes and security devices. Protecting Secure Safes your valuables and vital records from fire or theft is our only business. Although a simple locking cabinet can secure your valuable papers from prying eyes, it will do little to protect them from Safes theft or damage from fire. Secure safes provide an extra level of protection for documents, computer data and other items that your company would be hard pressed to duplicate if lost.